If I present an activity involving trucks, movement and picking stuff up my son is all about it. 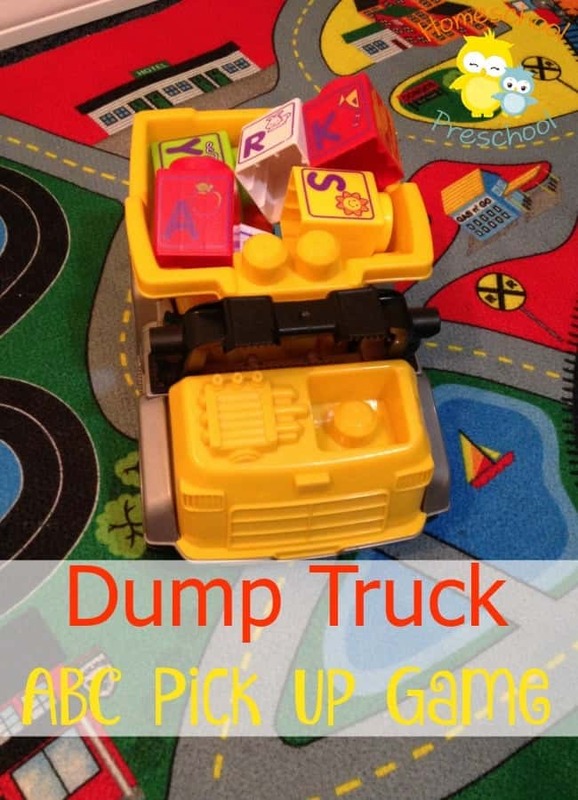 So when I thought up this activity that was alphabet recognition cleverly disguised as a dump truck game he was eager to participate. I introduced it by explaining we were going to make an ABC town all around the room. The dump truck had a big job to do. It had to pick up all the letters. My son was eager to get started, and he helped me place all the ABC blocks around the room in a big circle. We put them in order, but you wouldn’t have to necessarily. We then took turns choosing a card from our deck of alphabet cards. Whatever card we picked he had to drive his dump truck to find that block and pick it up. When the truck was full after a few blocks he emptied it into a bucket and started again. He had so much fun with this game and stuck with it until all the letter blocks were picked up. He already is able to recognize all his letters so he didn’t need much prompting. But if he had struggled, I would have suggested he look for the picture that went with the letter on the block. I was so pleased this simple game was such a big hit! After we played it together, he set some of the blocks up again on his own and continued his own free play with them, putting them in the truck and dumping them. 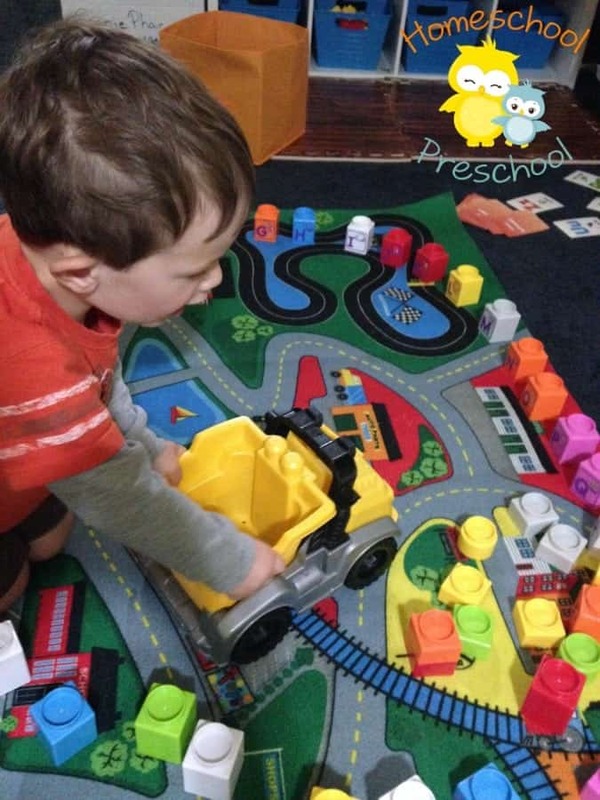 Do you have a preschooler that loves anything they can drive and put stuff in? With any variety of truck or ABC block this game is sure to be a big hit!